Photochromic lenses are eyeglass lenses that are clear (or nearly clear) indoors and darken automatically when exposed to sunlight. Other terms sometimes used for photochromic lenses include "light-adaptive lenses" and "variable tint lenses." The most popular brand of photochromic lenses sold in the United States are Transitions Lenses (Transitions Optical). Because of this, some people — including some eye care practitioners — refer to photochromic lenses as "transitions lenses" or "transition lenses." But there are other brands of photochromic lenses available as well. The molecules responsible for causing photochromic lenses to darken are activated by the sun's ultraviolet radiation. Because UV rays penetrate clouds, photochromic lenses will darken on overcast days as well as sunny days. Photochromic lenses typically will not darken inside a vehicle because the windshield glass blocks most UV rays. Recent advancements in technology allow some photochromic lenses to activate with both UV and visible light, providing some darkening behind the windshield. Ask your optician for details. Photochromic lenses are available in nearly all lens materials and designs, including high-index lenses, bifocals and progressive lenses. An added benefit of photochromic lenses is that they shield your eyes from 100 percent of the sun's harmful UVA and UVB rays. Because a person's lifetime exposure to sunlight and UV radiation has been associated with cataracts later in life, it's a good idea to consider photochromic lenses for children's eyewear as well as for eyeglasses for adults. Polycarbonate is the safest lens material for kids, providing up to 10 times the impact resistance of other lens materials. FIND A DOCTOR: Need an eye exam or new glasses? 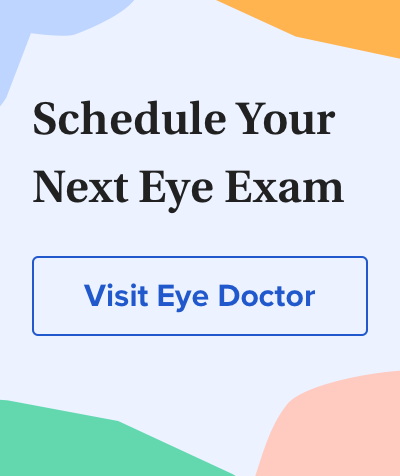 Click here to find an eye doctor near you. Adding anti-reflective coating to photochromic lenses enhances their performance even further. AR coating allows more light to pass through photochromic lenses for sharper vision in low-light conditions (such as driving at night), and eliminates bothersome reflections of sunlight and other light from the backside of the lenses in bright conditions. Transitions Signature (Transitions Optical) — Transitions Signature lenses with Chromea7 technology represent the latest advancement in Transitions adaptive lenses. They are available in gray, brown and graphite green. The lenses are fully clear indoors and are more responsive to sunlight, so they are darker when you need them to be, according to the company. Transitions Signature lenses are the fastest to fade back to clear indoors of all the Transitions products. Transitions XTRActive (Transitions Optical) — These lenses were developed for wearers who are light-sensitive indoors and desire a darker lens when driving and outdoors. Transitions XTRActive lenses have slight tint indoors to keep your eyes comfortable when exposed to harsh lighting (fluorescents lights, digital devices). They also activate behind the windshield of a car and are available in gray, brown and graphite green tints. Transitions Vantage (Transitions Optical) — These lenses have a slight tint indoors and polarize as they darken outdoors for greater glare control in bright, reflective conditions. This unique technology offers a high-definition visual experience since the polarization continually adjusts outdoors to match the level of reflective glare, according to Transitions Optical. Available in gray tint. Sensity (Hoya Vision Care) — Introduced in the United States in April 2016, Hoya's Sensity photochromic lenses feature trademarked technology that insures the lenses perform consistently in varying climates and temperatures, according to the company. Sensity lenses are available in gray and contrast-enhancing brown colors and are offered in a variety of lens designs, lens materials and anti-reflective coatings. LifeRx (Vision-Ease Lens) — LifeRx lenses are made of polycarbonate and are available in gray and brown photochromic tints in a variety of lens designs. The lenses take less than a minute to darken outdoors and fade back faster indoors than other photochromic lenses, according to the company. PhotoFusion (Carl Zeiss Vision) — Made in Germany, PhotoFusion lenses are available in a neutral gray tint for accurate color vision in all lighting conditions, according to the company. The lenses darken up to 20 percent faster and lighten indoors up to twice as fast as previous Zeiss photochromic lenses. ColorMatic (Rodenstock) — Also made in Germany, Rodenstock's ColorMatic lenses are available in gray, brown and green photochromic tints. The company also offers ColorMatic IQ Contrast photochromic lenses in contrast-enhancing shades of orange and green. PhotoViews (Signet Armorlite) — PhotoViews lenses are made of lightweight plastic and polycarbonate and are available in gray and brown photochromic tints in a variety of lens designs, including Kodak progressive lenses. SunSensors (Corning) — Corning's SunSensors are made of mid- and high-index plastic materials and are available in gray and brown tints in a variety of lens designs. PhotoGray; PhotoBrown (Corning) — These glass photochromic lenses offer superior scratch resistance but are significantly heavier and less impact resistant than other photochromic lenses. Corning created the first mass-produced glass photochromic lenses in the 1960s and continues to produce glass photochromic lenses in gray and brown tints. Thin & Dark (Corning) — Corning's Thin & Dark lenses feature a gray tint and are up to 30 percent thinner and lighter than conventional glass photochromic lenses, according to the company. Photochromic sunglasses are primarily for outdoor wear. They are not as clear indoors as other photochromic lenses, but they provide extra comfort in bright sunlight and behind the wheel. Transitions Drivewear (Transitions Optical and Younger Optics) — These polarized adaptive lenses are designed specifically for the driving task. They adapt to changing light conditions when worn inside a vehicle, enhance contrast, and improve visual performance for driving, according to Transitions Optical. Transitions Optical also has incorporated the company's photochromic technology into a line of adaptive sunglasses, motorcycle and bike helmet shields and snow goggles. These products enhance visual performance during outdoor activities by providing comfort in changing light conditions, enhancing contrast and offering the convenience of not having to switch products as light changes, according to the company. Transitions Optical's photochromic technology is available in products from leading brands like Bell Helmets, Shoei, Oakley, Nike and Dragon Alliance in a variety of tint and color options, including clear to dark lenses, dark to darker lenses, and clear to dark helmet shields. Also, the photochromic performance of products made for snowboarding and other winter activities is optimized for cold temperatures, according to the company. Besides protecting your eyes from glare outdoors, photochromic lenses offer an additional important benefit — they help protect your eyes from harmful blue light. Blue light contributes to digital eye strain and causes oxidative stress in the retina. It's even possible that long-term exposure to harmful blue light from sunlight and the display screens of computers, smartphones and other digital devices may increase a person's risk of macular degeneration and other eye problems later in life. Transitions Signature photochromic lenses block 1.4 times more harmful blue light indoors than basic clear lenses, and they filter over 8 times more harmful blue light outdoors than clear lenses. Transitions Vantage photochromic lenses filter at least 2 times more harmful blue light indoors than clear lenses, and they block over 6 times more blue light outdoors than clear lenses. Transitions XTRActive photochromic lenses block at least 2 times more harmful blue light indoors than clear lenses, and 8 times more harmful blue light outdoors. See your eye care professional to discuss your blue light exposure risks and which type and brand of photochromic lenses is best for your specific needs.